Written and directed by Amy Heckerling, the hit comedy Clueless premiered July 19, 1995 and introduced countless catchphrases and slang into the common lexicon. ("Monet," "Baldwin," "buggin'" anyone?) 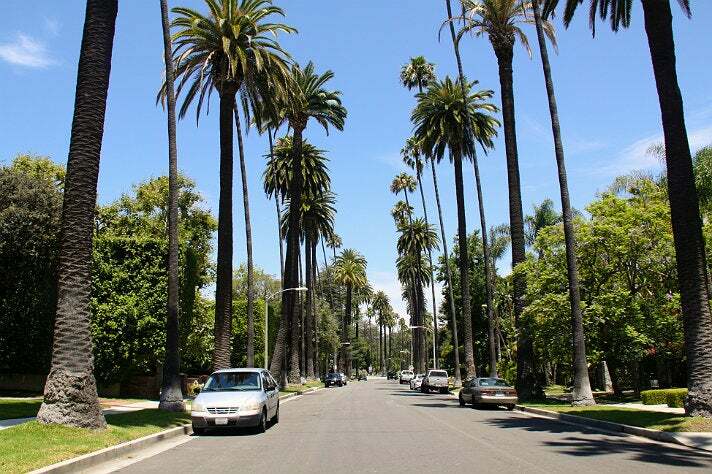 The way popular modern adaptation of Jane Austen's Emma, which centered around Beverly Hills teen Cher Horowitz (played by Alicia Silverstone), was lensed in and around Los Angeles in early 1995. Read on for the ultimate guide to each and every locale featured in the movie – like, all 40 of them. 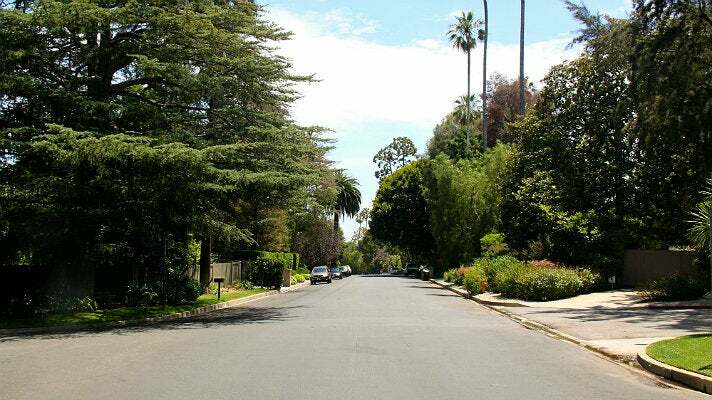 On her way to pick up BFF Dionne (Stacy Dash) for school, Cher shows off the tricked out Jeep daddy bought her (“It’s got four-wheel drive, dual-side airbags and a monster sound system!”) while driving south on North Bedford Drive in Beverly Hills. 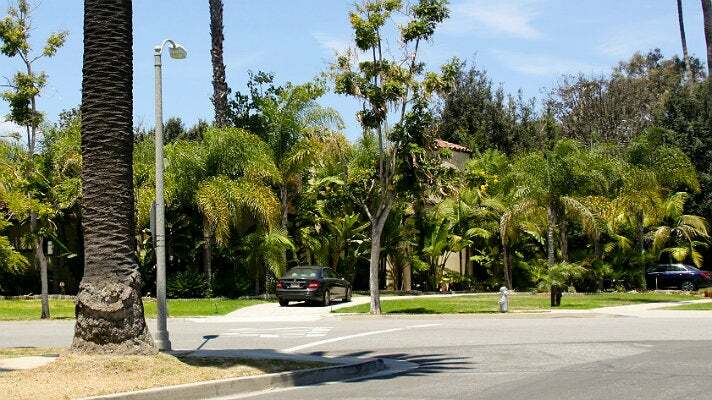 During the drive, Cher takes out a large potted plant in the yard of a gated home on Bedford Drive (“Oy! That came out of nowhere!”). 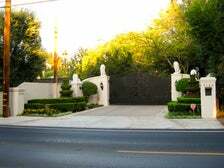 The Spanish-style home visible in the background of the scene is at 801 North Bedford Drive. 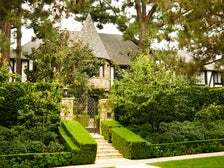 One of the few prominent Clueless locations actually located in Beverly Hills, Dionne’s Tudor-style mansion can be found in the flats, just off Sunset Boulevard. 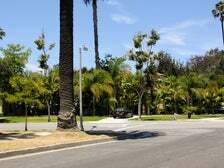 A fence has since been added to the property, along with quite a bit of foliage, but it is still recognizable from its silver screen appearance. 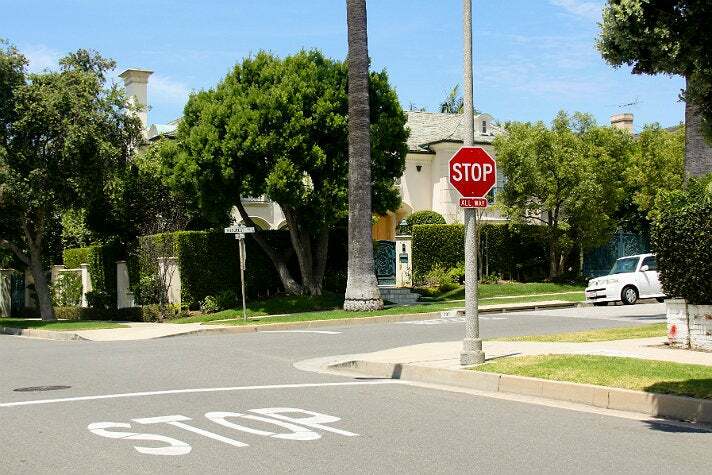 After picking up Dionne and insulting her Dr. Seuss-like hat, Cher "totally pauses" at the stop sign located at the intersection of Elevado Avenue and North Hillcrest Drive. 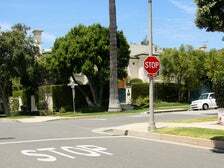 The house that Cher drives by in the scene is at 701 N. Hillcrest Dr. in Beverly Hills. 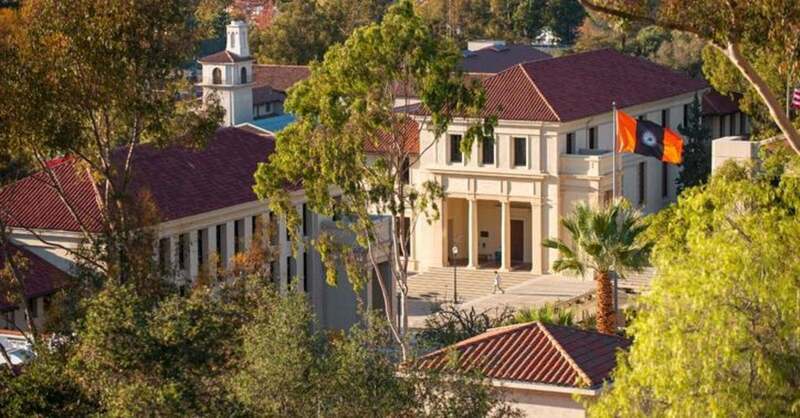 Occidental College was used for all of the exterior scenes that take place at Bronson Alcott High School (named in part after director Amy Heckerling’s then-boyfriend Bronson Pinchot). 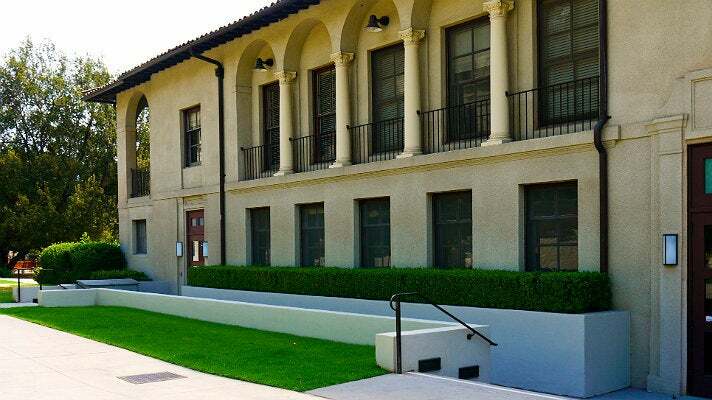 The south side of Occidental’s Johnson Student Center and Freeman College Union masqueraded as the front of the fictional Beverly Hills-area high school. 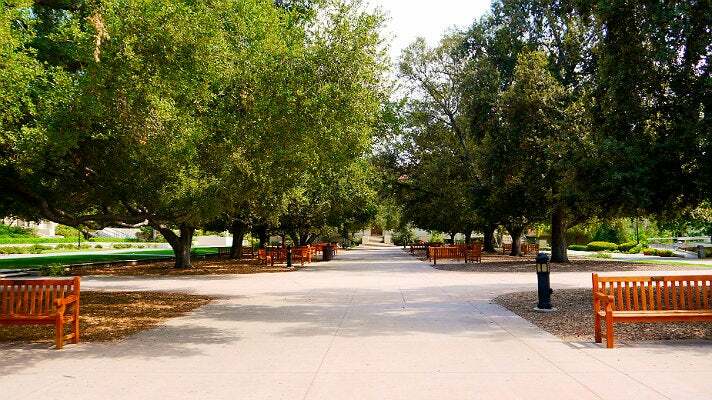 The esplanade that Cher and her friends are often seen strolling along (and where the movie’s infamous “As if!” moment takes place) is Occidental’s large tree-lined Central Quadrangle. The Quadrangle also serves as the hangout of Bronson Alcott’s various cliques, including Alana’s group (“They do the TV station. 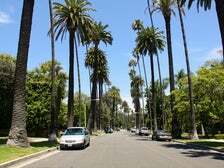 They think that’s the most important thing on earth!”), the Persian Mafia (“You can’t hang with them unless you own a BMW.”) and the Crew, aka the most popular boys in school (“If you make the decision to date a high school boy, they are the only acceptable ones.”). 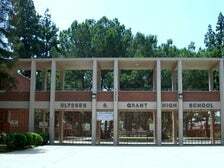 Many of the Bronson Alcott interior scenes were shot at Grant High School in Van Nuys. Cher debates about partying with the Haitians under the tutelage of Mr. Hall while in Room 201. 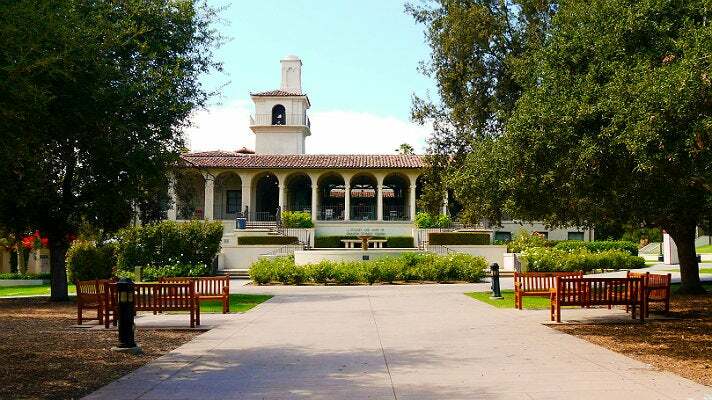 Production designer Steven J. Jordan significantly altered the room for the shoot so that it would better match the Spanish-style architecture of Occidental College. 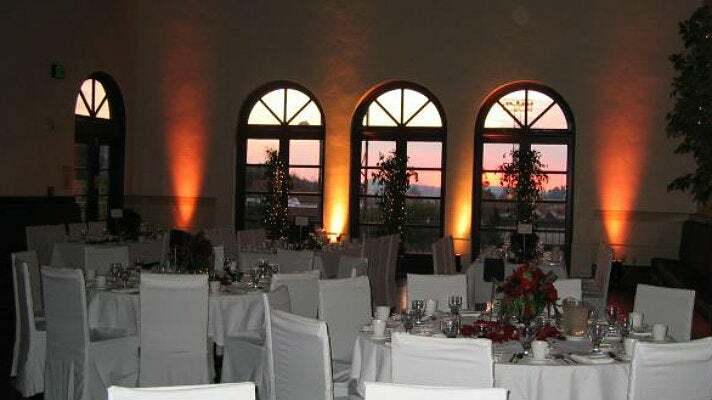 Changes included the installation of a fake wall that obscured portions of the windows in order to make them appear arched. 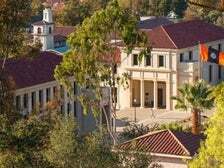 It was through those windows that Travis Birkenstock (Breckin Meyer) tried to jump after receiving a less than stellar report card. 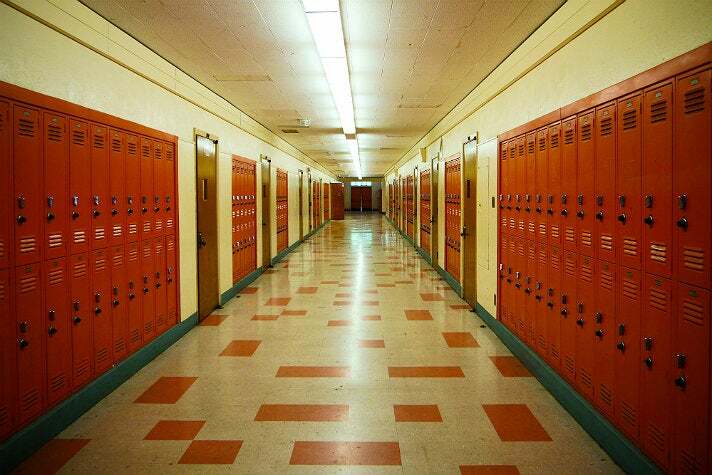 The orange-hued hallway outside of Room 104 provided the backdrop for Cher and Dionne’s post-class cell phone conversation. 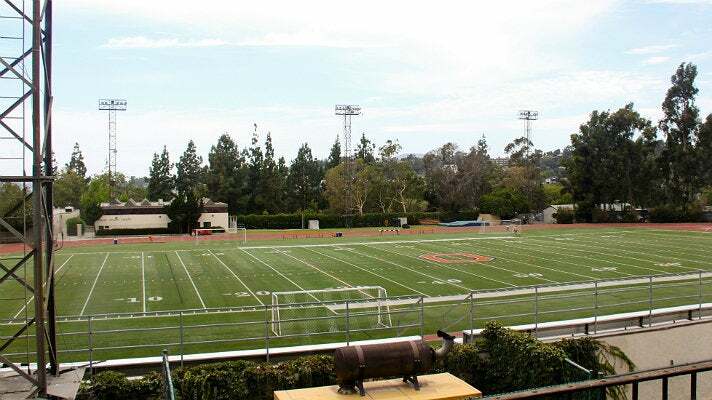 In a scene filmed on Occidental’s football field, Cher convinces her P.E. teacher, Ms. Stoeger (Julie Brown – yes, that Julie Brown), to raise her grade from a "C" to a "B." 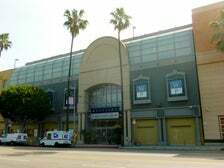 The Westside Pavilion was used for the establishing shot of the mall that Cher heads to in order to find sanctuary and regain her strength after being brutally rebuffed in her attempts to have Mr. Hall raise her debate grade. 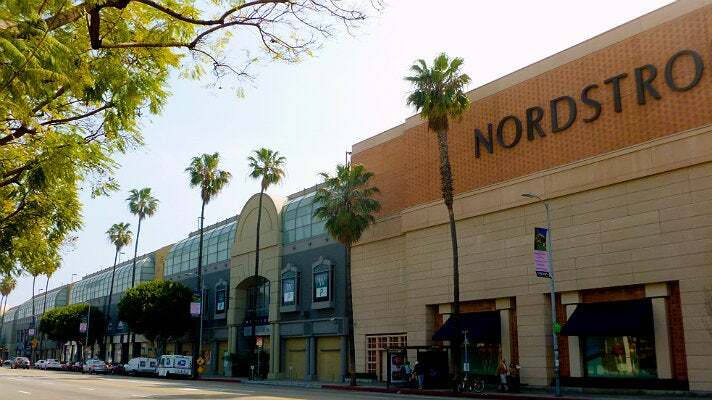 All of the interior mall scenes in Clueless were shot in the Valley at Westfield Fashion Square. 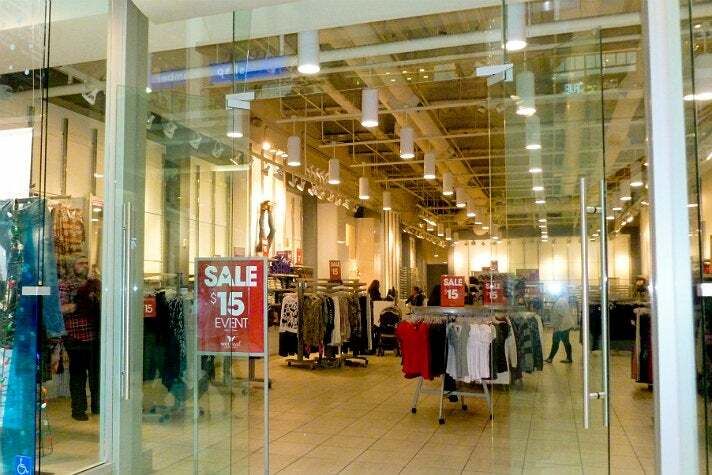 The mall’s former Contempo Casuals space (now occupied by Wet Seal) was utilized twice in the movie. The first time is when Cher and Dionne decide to try to make Mr. Hall “sublimely happy.” Later, Dionne call Cher from in front of Contempo Casuals to inform her that they will be making a cameo at the Val party. Occidental’s Gresham Dining Room masked as the faculty lounge where Cher decides to set Miss Geist up with Mr. Hall - and covets a Snickers bar. The opulent space features arched windows, towering wood-beamed ceilings and French doors, though little of it was shown onscreen. Bronson Alcott's main office, where Cher and Dionne leave Miss Geist an anonymous love note (complete with a famous quote from CliffsNotes) was the former Student Activities Office at the Johnson Student Center and Freeman College Union. The interior of the student center was largely gutted and remodeled in 1998 and then again in 2012 - the vast majority of it looks completely different today. 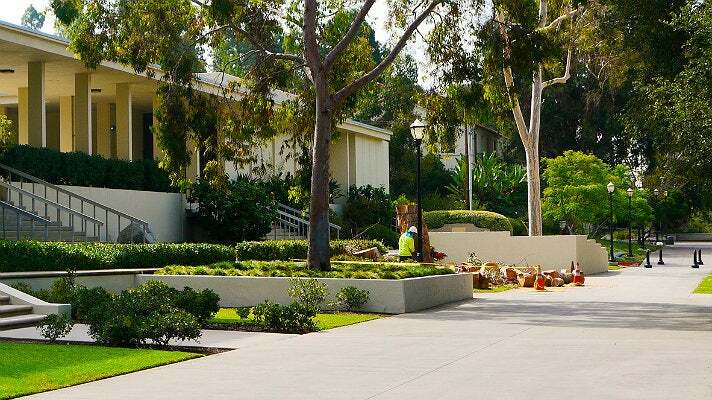 The Student Activities Office was a casualty of the 1998 renovation and no longer exists. Josh (Paul Rudd) gives Cher driving lessons (“Hey, James Bond! 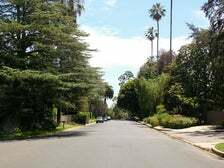 In America we drive on the right side of the road!”) and advice on using her popularity for a good cause (like Marky Mark) while driving north on North Bristol Avenue near Ashford Street in Brentwood. The eastern side of Occidental’s Johnson Student Center and Freeman College Union served as the exterior of the Bronson Alcott cafeteria. 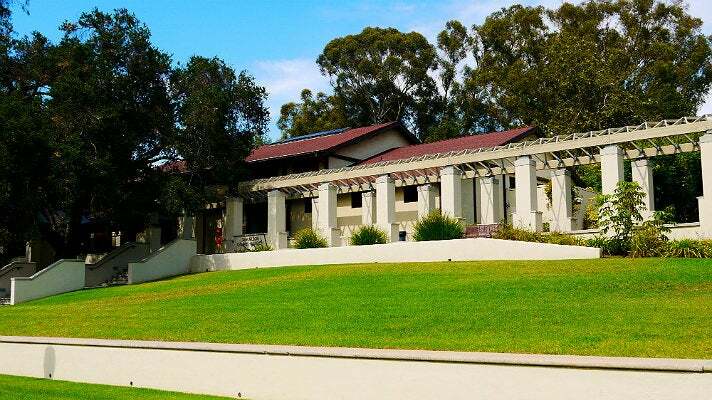 Though still recognizable from the film, the addition of stairs and a ramp have altered the look of this location. 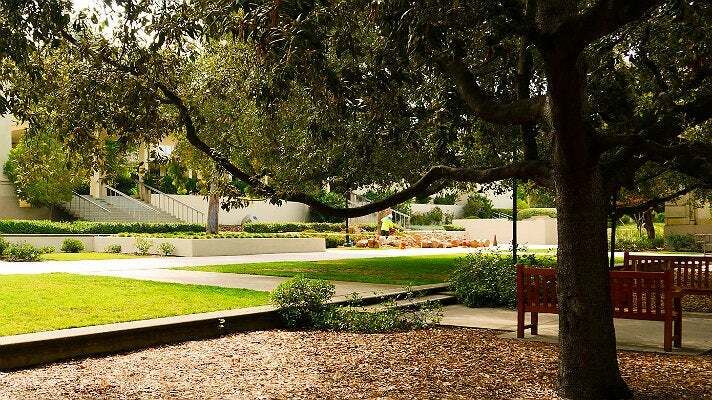 Cher offers her father’s “sucky Italian roast” to Mr. Hall while walking along the eastern portion of Occidental’s Central Quadrangle, in front of Fowler Hall. Mr. Hall shares the coffee with Miss Geist - and gets her digits – at a shaded bench in the central portion of the Quadrangle’s southern end. 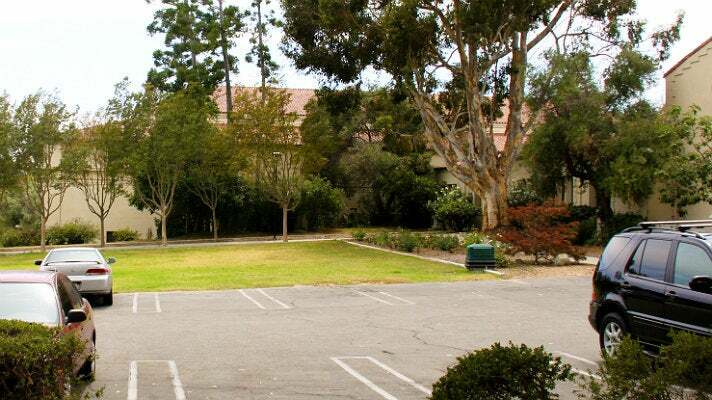 While Cher and Dionne watch from behind some hedges, Mr. Hall and Miss Geist share their first kiss in the parking lot located between Newcomb Hall and the Admission Office/Collin House. 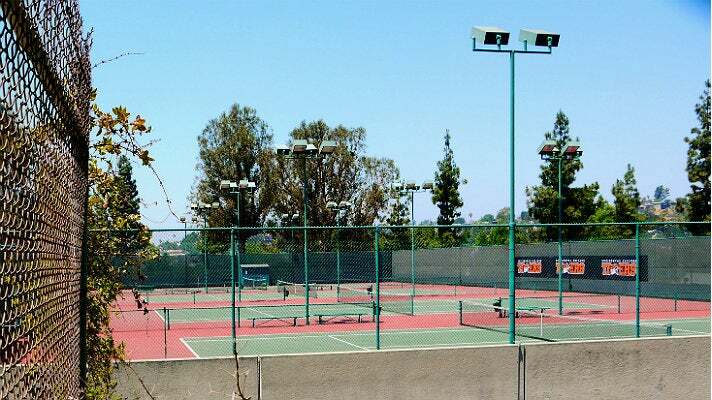 Cher laments the travesty of Bronson Alcott’s physical education program (“I doubt I’ve worked off the calories in a stick of carefree gum!”) and first meets Tai (Brittany Murphy) while hitting balls at Occidental’s large tennis court pavilion. The interior of the Bronson Alcott cafeteria, where Tai and Travis first lock eyes, was formerly located inside the Johnson Student Center and Freeman College Union, but was remodeled during the 1998 renovation. Travis and his fellow Loadies (whom “no respectable girl actually dates”) hang out at this hilly spot situated along the western side of the Samuelson Campus Pavilion. 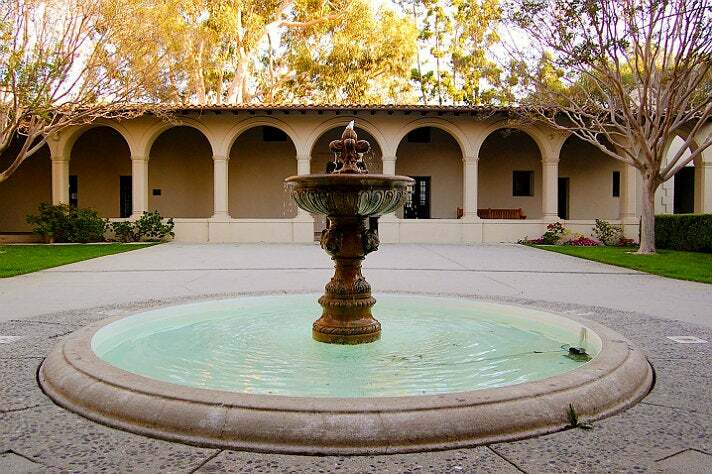 Cher’s impromptu photo shoot with the gang, during which Tai poses like “one of those Botticelli chicks,” takes place at the fountain located in the courtyard of Occidental’s Booth Music and Speech Center. 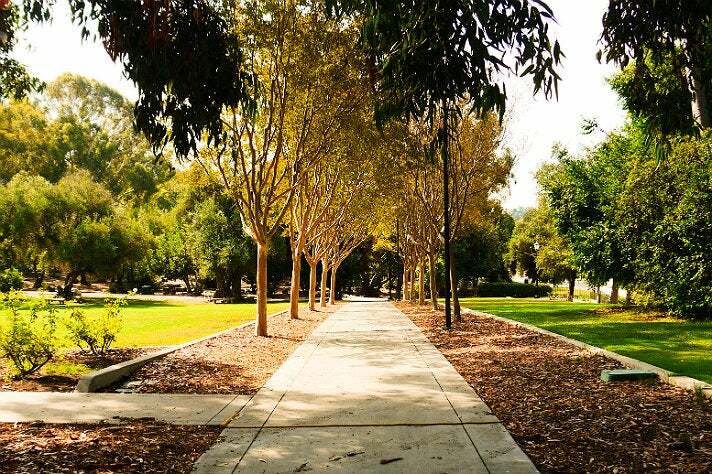 You wouldn't dare skip the rest of the ultimate guide to Clueless film locations, would you? As if!